I honestly cannot remember the last time I went into a new place and was happy with every single dish ordered. This was the case upon a recent visit to Royal Indian Curry House. Otherwise cheekily known as R.I.C.H. 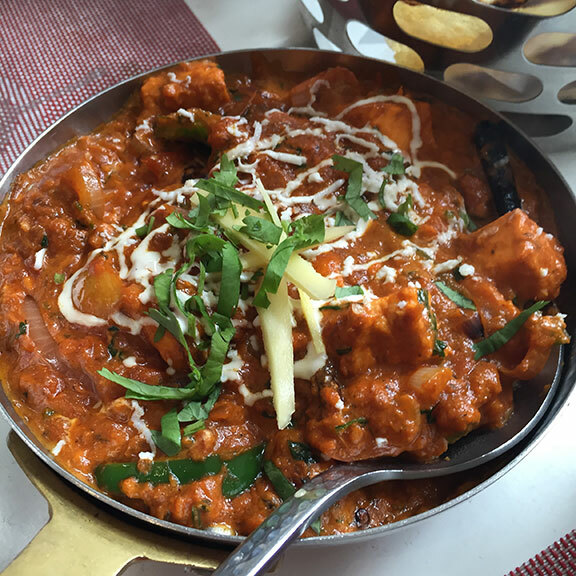 I didn’t grow up with Indian food as Sanju did but I have developed an appreciation and fondness for it over the years. Given how averse Filipinos generally are to spicy food (both in terms of usage of fresh/ground spices and heat) the choices were quite dismal for the general public for good Indian food decades ago. But things have clearly changed and glad to have more options for curry cravings. A huge masala papad. 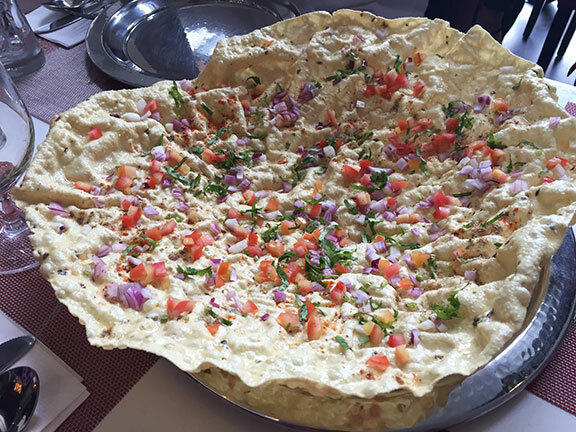 A thin cracker-like fried bread topped with onions, tomatoes, cilantro and and a dusting of spices. 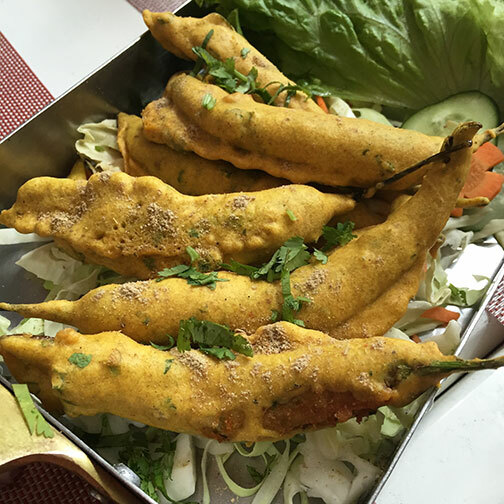 The pretty straightforward chili pakora. Green finger chilies battered with chickpea flour and fried. 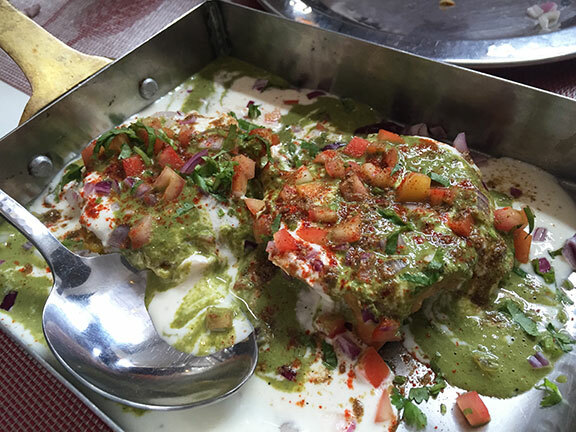 Samosa chaat; which is basically all the work of putting on the yoghurt, tamarind and mint sauce for you. 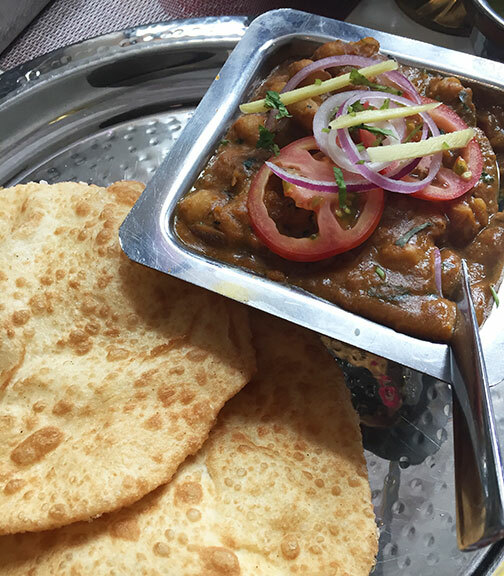 The lovely chollay bhature, or chickpeas in a spiced gravy which you eat with, or stuff into, fried leavened bread. 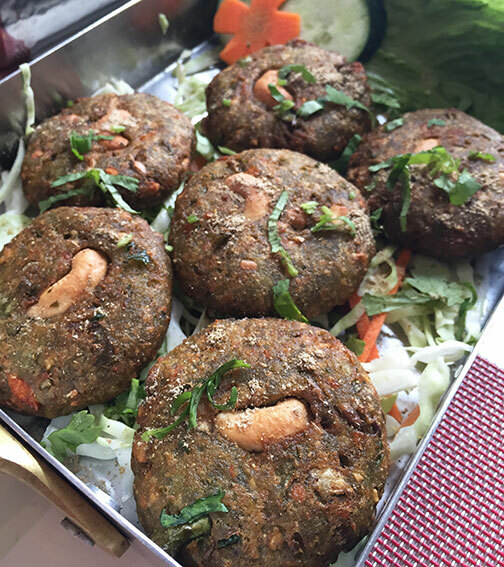 The hara bhara kebab; this amazing vegetarian patty made of spinach, potatoes and cottage cheese, among others. So flavourful that no sauce is actually needed. We also had a Hyderabadi biryani. 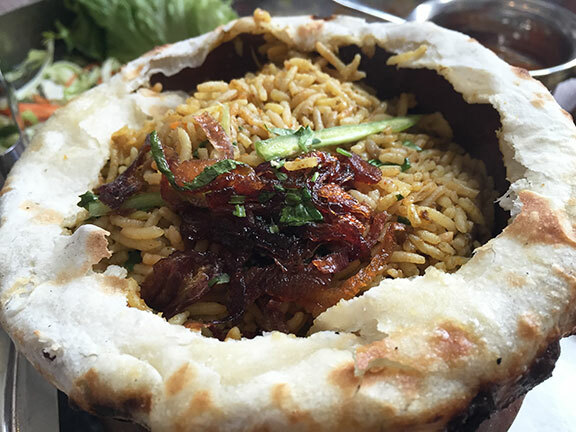 Delicious basmati rice cooked with lamb and garnished with caramelized onions. This is put in a clay pot that is sealed with dough and baked in the oven. A bit of theater as to how the staff cuts the seal and serves. With the rice we had the Lahori kadhai paneer. Cottage cheese cooked in a rich tomato sauce with bell peppers. Surprisingly fresh and bright flavors from a seemingly heavy dish. 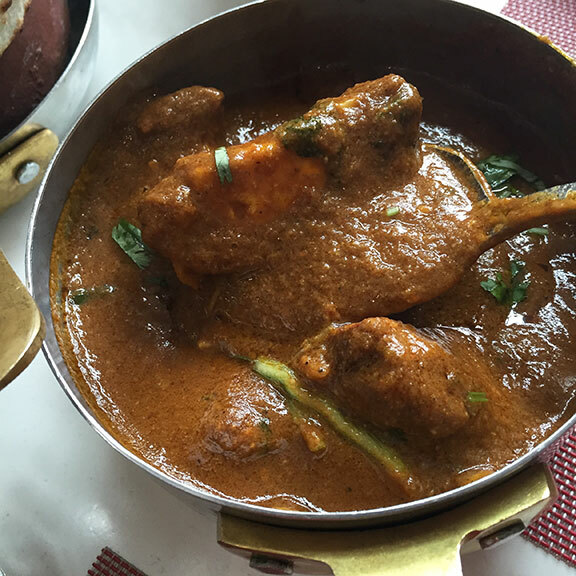 We were all interested to try the mutton Rajwari kofta; which the menu says is made from the chef’s secret recipe. Basically an Indian version of Scotch eggs, but using ground mutton and wrapping it around a boiled egg. It’s the sauce that makes this dish. Complex and redolent of aromatic spices. We requested all dishes to be spicy but this seemed to provide the most slow burn. We were all sweating but couldn’t stop eating. 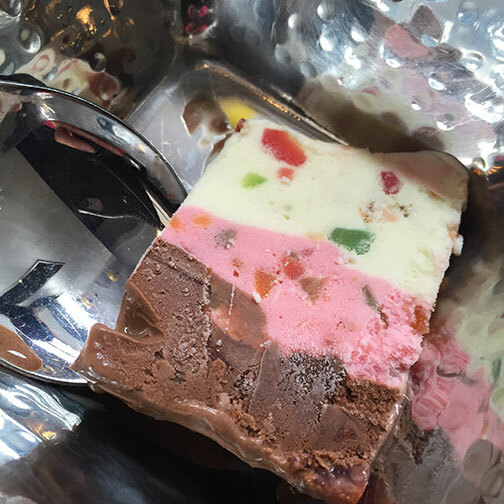 For dessert we had tried the cassata, or a layered ice cream scented with cardamom. 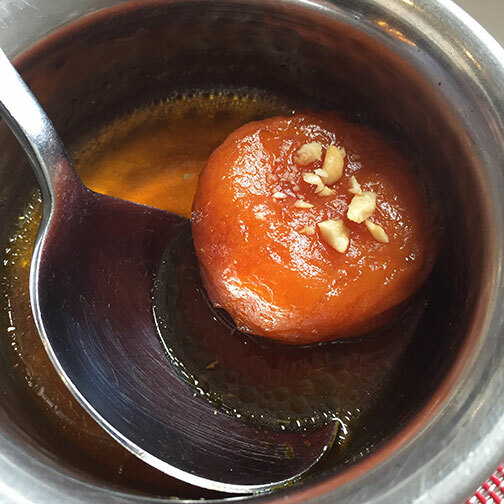 And the gulab jamun. I’m not too fond of Indian desserts as they’re usually tooth-achingly sweet but I noticed these weren’t so. And in fact pleasantly helped temper the heat. So if you’re into Indian food, based on this impression, I think Royal Indian Curry House is worth the time. A crazy RICH Asian experience. And don’t be afraid of picking out the not so usual stuff. We had a very apprehensive, not-too-adventurous eater with us in the group that was converted by the end of the meal.